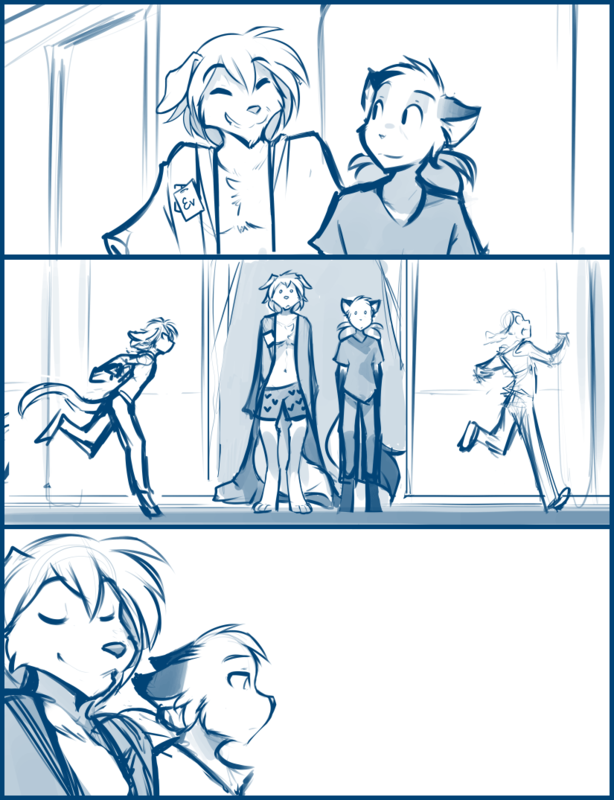 1040: Enjoying Freedom - Twokinds - 15 Years on the Net! Evals: I always knew being free would be great, but I never imagined it’d be this good! Mike: But yeah, compared to the ship, it’s definitely a lot more peaceful around here. Madelyn: I’ll teach you to call me a pint-sized excuse for a Basitin! Karen: I never said that! Evals: Ah… I’m gunna miss this when we all start going our separate ways. Eh, Mike? Evals: Anyway, I’ve heard there’s a grand spa bath somewhere in this place. That’s what I need!